The Area Agency on Aging for Southwest Florida oversees a number of services for elders and people with disabilities. 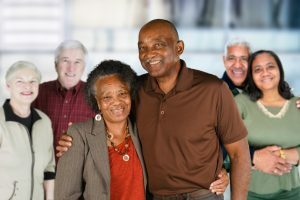 Our main programs include the Elder Helpline, Home and Community-Based Care, SHINE Medicare Counseling, Health and Wellness workshops, and Elder Abuse Prevention & Education. However, there are several other programs that AAASWFL offers. Florida’s Emergency Home Energy Assistance Program (EHEAP) assists households facing a home energy crisis (heating or cooling). To be eligible for assistance, households must have a documented heating emergency such as a delinquent bill or shut-off notice. Additionally, the gross household income must be less than 150% of the federal poverty guidelines. One member of the household must be age 60 or older to receive assistance. EHEAP is funded through the Florida Department of Elder Affairs. To apply for assistance, contact the AAASWFL Elder Helpline at 866-413-5337. The Medicare Improvements for Patients and Providers Act (MIPPA) helps low-income seniors and people with disabilities by helping with some out-of-pocket Medicare costs. MIPPA has helped low-income Medicare beneficiaries save more than $2 billion on healthcare expenses. MIPPA includes three main assistance programs. The Medicare Savings Programs and Medically Needy Program are managed by the Department of Children and Families. The Social Security Administration can also provide assistance through its Extra Help/Low Income Subsidy program. Extra Help subsidizes some prescription drug costs for low-income seniors. These programs have specific income requirements. A SHINE counselor can help you determine your eligibility for these programs, and sign up for benefits. Call the AAASWFL Elder Helpline at 866-413-5337 to meet with a SHINE counselor. Medicaid can assist with the costs of nursing facility care and other long-term medical expenses. Eligibility for this program is usually based on the family or individual’s income and assets. Recipients must be eligible for Medicaid because of either age or a disability. AAASWFL assists the Agency for Health Care Administration (AHCA) and Florida Department of Elder Affairs by managing the priority list for this program. AAASWFL also helps with the enrollment process. If you believe you qualify for this program, contact the AAASWFL Elder Helpline at 866-413-5337. Caring for a loved one with a disability or illness can be demanding. Respite care services are designed for family members and loved ones who provide constant care for a frail elder or someone with a memory disorder or disability. Short-term respite helps to improve the family unit’s ability to continue to care for their loved one. AAASWFL can offer respite care through the Florida Department of Elder Affairs’ RELIEF program as well as through the Alzheimer’s Disease Initiative. For more information about respite care, contact the AAASWFL Elder Helpline at 866-413-5337. Veteran-Directed Home and Community Based Services gives veterans of all ages the opportunity to receive services from a caregiver of their choosing. Veterans can only be referred to AAASWFL by Bay Pines VA Healthcare System. The Veterans Administration refers clients who are at risk of institutional placement. AAASWFL then assists the veterans with budget management and finding programs that suit their needs. Veteran-Directed Home and Community Based Services are funded through the US Department of Veterans Affairs.